I’ll never forget the first time I heard the term “Vomitare”. It was proceeded by an experience I had singing in Innsbruck. It was during a love duet with a gorgeous soprano with long, thin, natural hair. We were in one of those typical, close duet clinches. I took a long, slow, meditative breath and along with air, in came one strand of hair. The vocal lips closed automatically over the hair and as I pulled away, the strand came out. My dinner was close to coming out as well. It didn’t. 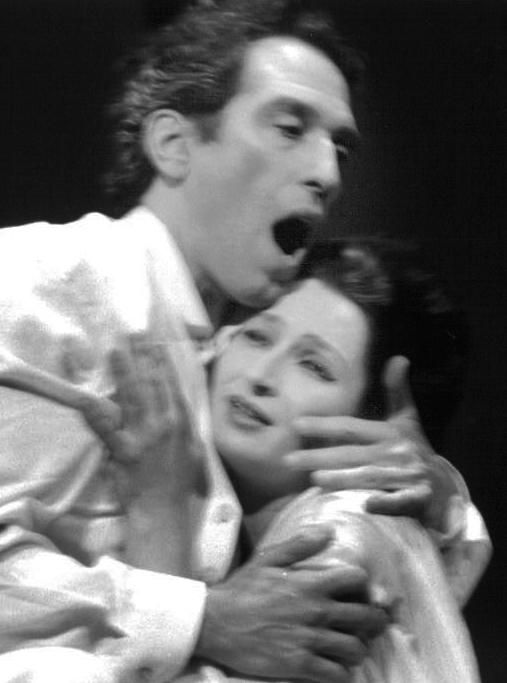 What did happen was that the gag reflex got my larynx lower than I’d ever experienced and the rest of the duet felt like I’d exchanged my instrument with Caruso. Everything was easier and fuller, including the applause after the duet. The soprano looked at me offstage and asked; ‘what, you going to start singing Wagner now? What was that?” “Uh….no……but….” and I told her what happened. I happened to have been working at the time with a classic “Bel Canto” traditionalist. When I told him the story his eyes lit up. VOMITARE!!!! After we did a couple of exercises in that direction, things were a bit clearer. Good thing too. It didn’t seem all that comfortable singing that close to the gag reflex. I’ve used this effectively with a couple of students. I’ve found that, along with the yawn reflex and so much else in vocal pedagogy, it’s best to use it with moderation. Thing is, if you tell a student to consciously ‘yawn’, she’ll usually use excessive tongue pressure to initiate the reflex. The same is even truer of “Vomitare”. Our human consciousness is a tricky thing sometimes. Being TOO conscious of something usually means using unwanted helping tensions to regulate it. Then, of course, we become conscious of the helping tension, which involves even more helping tensions to solve the problem of the helping tensions! In German we call this a “Teufelskreis”. In NLP we call it a negative calibrated loop. Whatever you call it, the only way to turn it around is through a precise balance of consciousness and autopilot. Lately I’ve been making this explicit with students right from the beginning. If I mention ‘yawn’ or ‘vomitare’ I make as clear as clear can be that these reflexes are not to be directly consciously regulated. Even though I know this is something of a double bind (please don’t be conscious of something you’re now conscious of), the balance that’s necessary here between control and release is essential for singers to understand right from the beginning. This balance is a talent in itself, as important as “The Voice” or musicianship. Like any talent, it can be encouraged right from the beginning. This entry was posted in Fitness, Inner Game, Mental Training, NLP, Opera, Singing and tagged Balance, Conscious, Consciousness, Musicianship, Reflex, Singing, Voice. Bookmark the permalink.